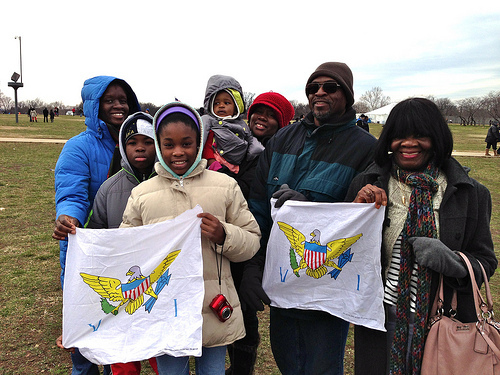 WASHINGTON, D.C.—Brenda Holcomb and her family drove 15 hours from Miami to watch the Inauguration in front of the Capitol Building. 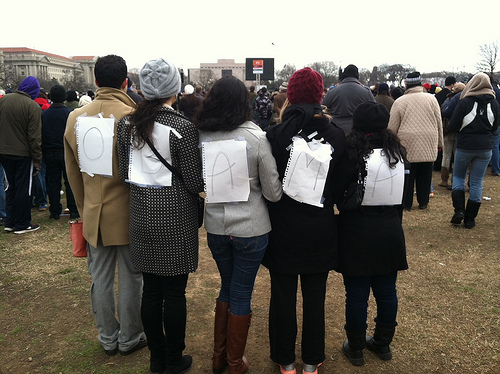 Instead, they found themselves stuck on the lawn at the Washington Monument, neither a Barack nor a Beyoncé in sight. Holcomb, 40, her children Glenda, 15, and Brandon, 11, and her nephew Tishaun Hampton, 17, awoke in the morning’s wee hours to make their way to the Capitol Building. Following directions from two volunteers and a security guard, they lined up on 7th St. at 6:15 a.m. It wasn’t until three hours later that they realized they were actually in line for parade tickets—not the Inauguration; by that time, it was too late to get to there. It wasn’t just the Holcombs that were struggling. In the streets surrounding the Capitol, thousands of Inauguration-goers shuffled around like confused cattle. Inauguration volunteers were providing conflicting information, and D.C. police were unexpectedly closing off designated entry points before the Inauguration even began. 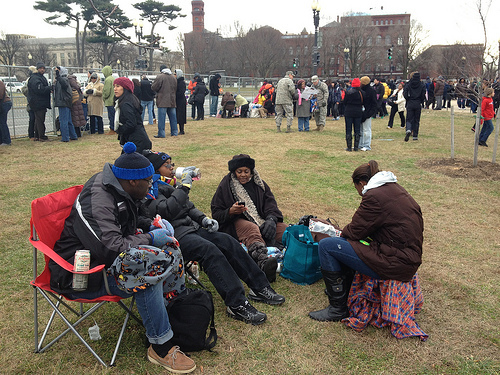 Disorganization reigned at the 2013 Presidential Inauguration. 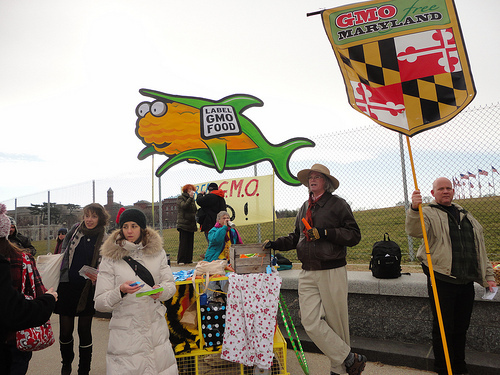 Police erected a metal chain link fence across the 12th St. and Independence Avenue. entry point around 11 a.m. The result was an intensely crowded and disgruntled mob squeezed into the tight intersection, everyone unsure where to go next. It was a particularly troubling situation for Patrick Elward, 34, and his good friend Charlie Gillig, 32—the latter of whom had flown in from San Diego, Calif. for the Inauguration. While Elward had managed to gain access to the Capitol, Gillig had gotten trapped on the outside of the fence. Now, police were neither letting Gillig in, nor Elward out. Gillig had no choice but to leave the friend he’d flown hours to accompany to the Inauguration. Back at the Washington Monument, young Brandon Holcomb still smiled brightly, proudly sporting his sparkly Obama beanie. The group even excitedly posed for a family photo in front of the Monument. All things considered, their day wasn’t all bad—the lawn around the Monument had turned out to be a great spot for a picnic, and, as Brenda pointed out, at least they could hear the president (well, sort of— thanks to a faulty jumbotron).